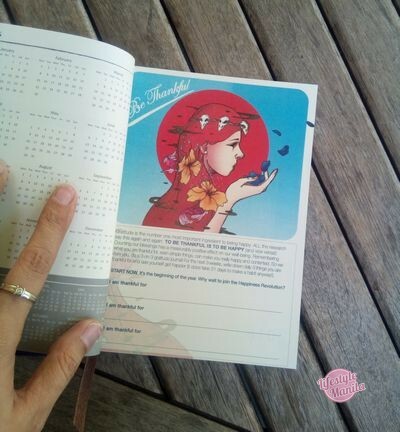 In the true spirit of Filipino celebrations and Christmas, Megaworld Lifestyle Malls launches a decent line-up of holiday outreach activities (that are timely, sensitive and necessary at this time of need). 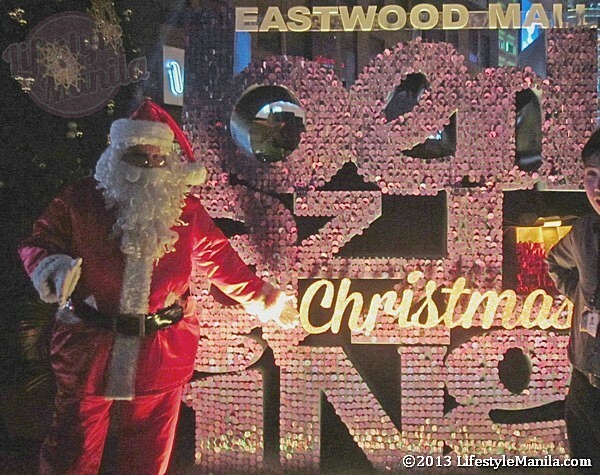 Greeting the entry of the Holiday season is an intimate tree lighting ceremony at the Eastwood Mall Open Park which was slated to be a tribute to those affected by the recent calamities, Typhoon Yolanda and the Bohol earthquake. 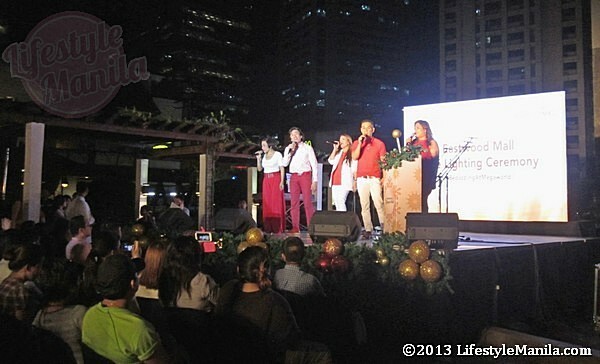 Cesca Litton hosted the event, and the UST singers and The Company performed beautiful songs onstage. 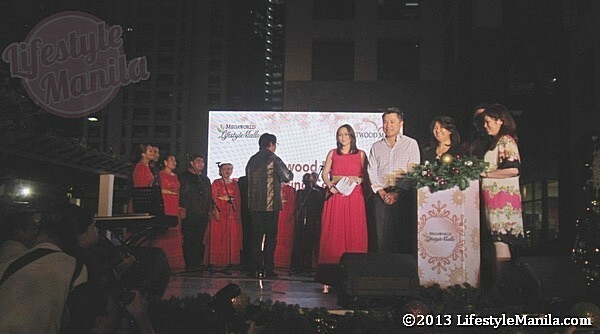 Megaworld Corporation’s COO Lordes Alfonso, Vice President for Mall Management Christine San Joaquin, First Vice President and Commercial Division Head Kevin Tan and First Vice President of Business Development and Leasing Jericho Go also attended the Tree Lighting Ceremony to encourage guests to continue helping the victims of calamities through the charitable events at Megaworld Lifestyle Malls Eastwood Mall, Lucky Chinatown, Newport Mall, Burgos Circle, and Venice Piazza. 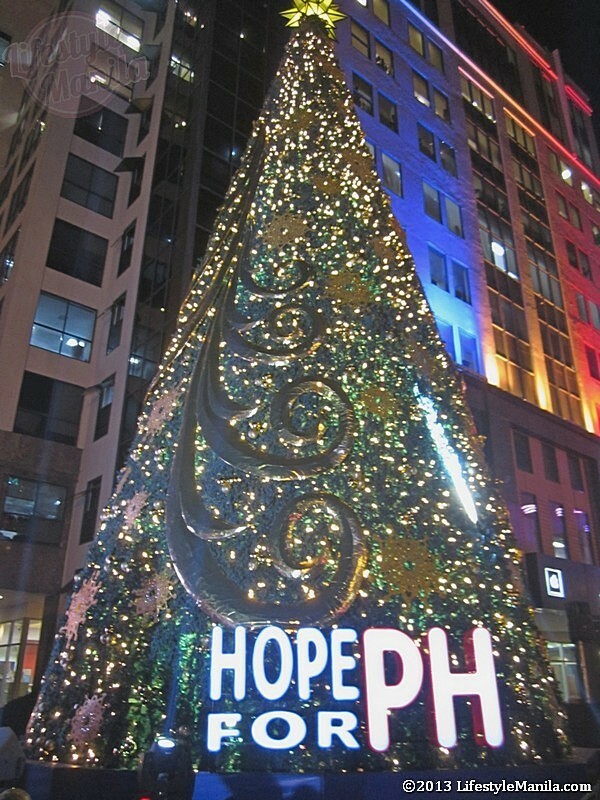 Aside from donating good collected through it relief drive, Eastwood Mall is dedicating its tree (and its 55,000 lights) as a symbol of hope for everyone affected by the Typhoon Yolanda and Bohol Earthquake. December 16, 7 PM. At the Lucky Chinatown Mall, there will be a benefit concert for guests called “A Holiday Symphony”. The Manila Philharmonic Orchestra will dazzle guests and ticket sales will be donated to typhoon survivors via the Philippine National Red Cross. December 22, 5 PM. G-Force for a Cause. Free dance session at Lucky Chinatown Walk for every purchase of G-Force CD. 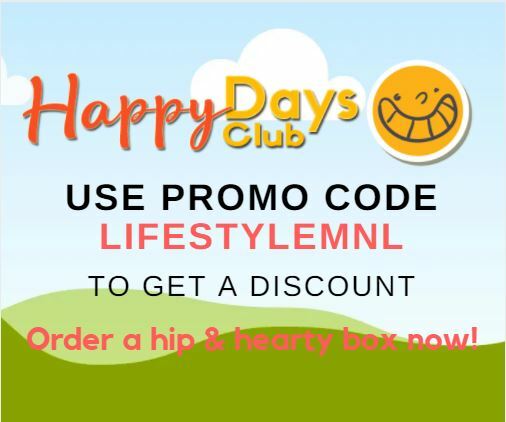 Proceeds will go to Yolanda survivors. Christmas Toy Drive. 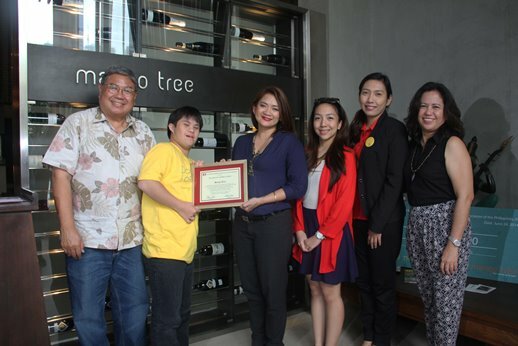 Donation boxes at all Santa’s Corners at Megaworld Lifestyle Malls allow shoppers to donate new and pre-loved toys for the children who survived Typhoon Yolanda.